Unless otherwise posted, the speed limit is _____ on narrow, winding mountain highways. Unless otherwise posted, the speed limit on narrow, winding mountain highways in Colorado is 20 mph. If a posted sign indicates otherwise, follow the speed limit on the posted sign. Treat them the same as you would any other motor vehicle. 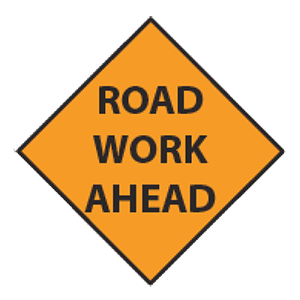 Yield the right-of-way to service vehicles and maintenance equipment engaged in work on roadways. Use extra caution in approaching, overtaking, or passing maintenance vehicles and snowplows. Because of their traveling speed and size, snowplows tend to create large clouds of blowing snow that conceal the plow, making it invisible. A speed that is faster than is reasonable and prudent. A speed that is safe for existing conditions. You must not drive at a speed that is faster than is reasonable and prudent. You must drive at a speed that is appropriate for the area where you are driving, the type and condition of surrounding traffic, the presence of pedestrians, the weather, the quality of the road, and light conditions. You must drive within legal speed limits.